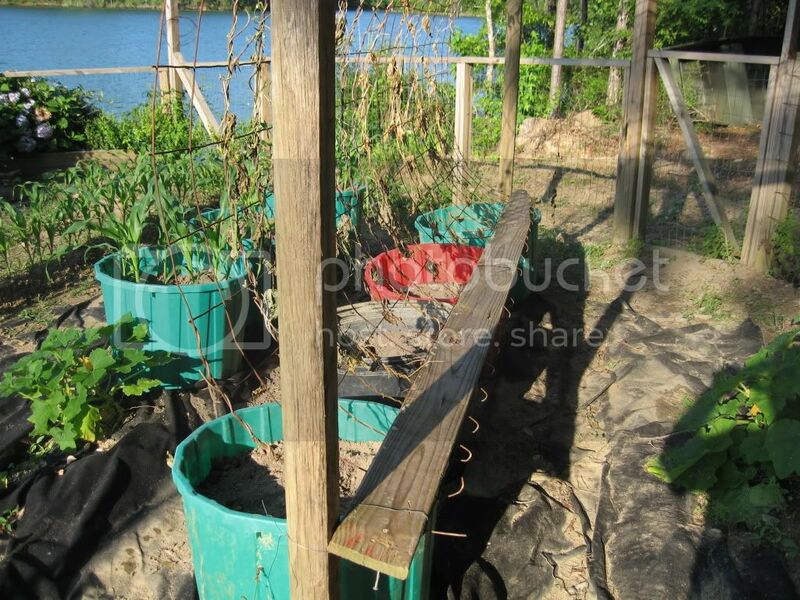 Some of you may remember by bean and cucumber "arbor" from last year. 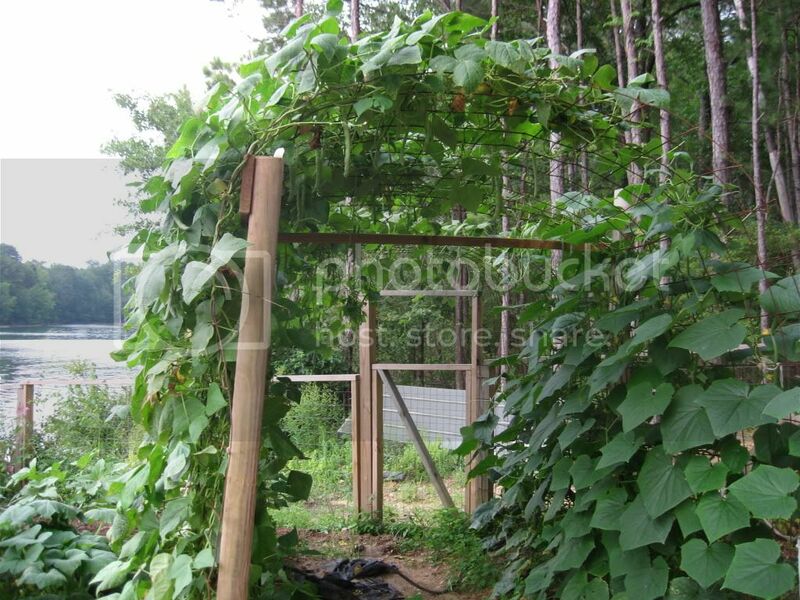 I had it going again this year, had eaten a few messes of green beans, and then the vines were clipped at the ground. At first I thought it was from a storm we had, but soon blamed it on the wascal wabbits. 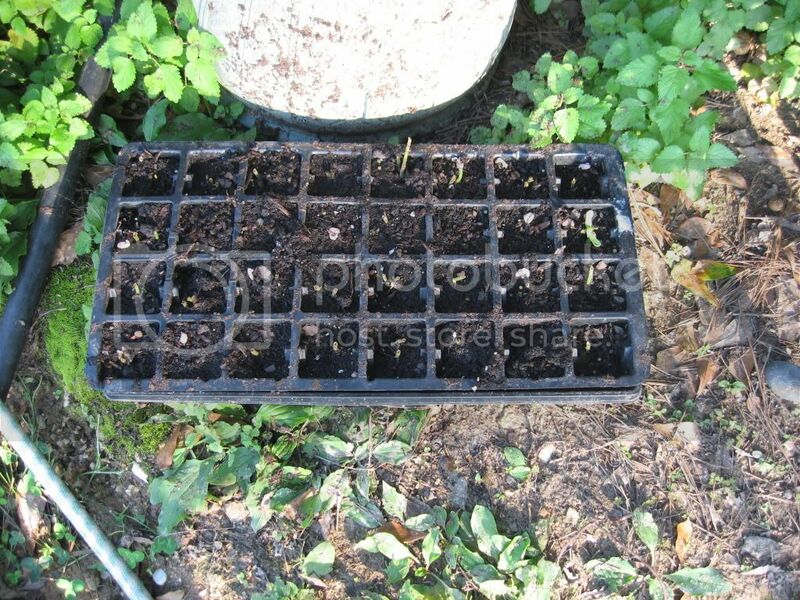 So, I am trying a new method that I hope is rabbit proof. 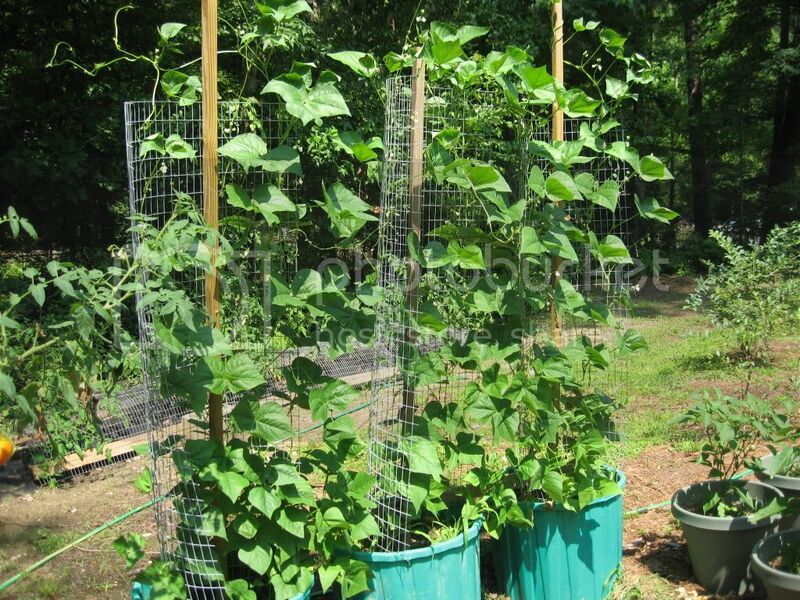 I planted the beans in containers, and had to adjust the climbing wire a bit. Good luck I have to replant my Sweet potatos today the rabbits took them all. My large veggie garden is in a location where the neighbors tolerate the Mountain Cottontail that live in this neck of the woods. I am very frustrated about that - and all the loss in my garden. It isn't as tho' these things are endangered and their population is much higher than where I lived further out in the country and the coyotes were around. 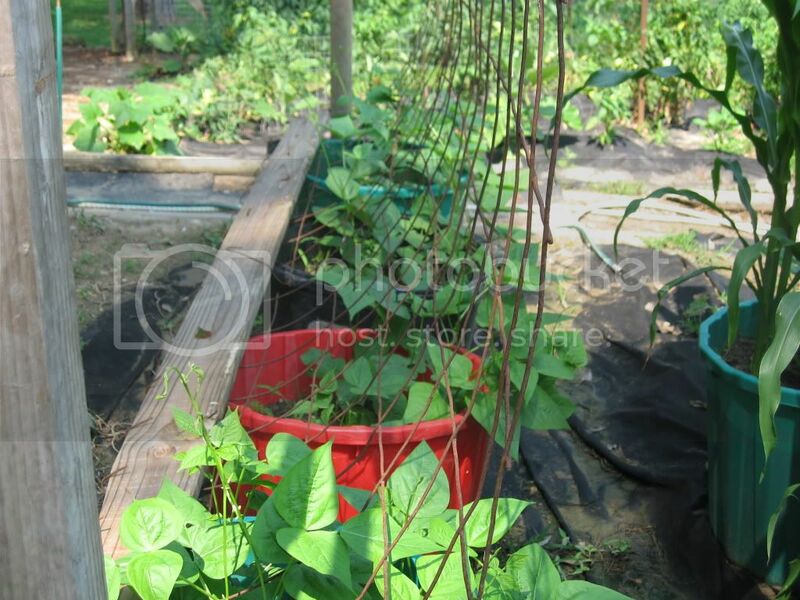 One neighbor has a big garden and reported no beans last year because of the rabbits. Shoot! I mean, Shoot! Every time I scare a rabbit outta his raspberry/grape jungle that borders my garden - that rabbit runs straight towards his house! It has been a few years since I've carried a gun to the garden but I can't very well pick that rabbit off while it's sitting outside his backdoor! Recently, she lost 1 of her little dogs to the coyotes, she says. It is just her and my 90 year old aunt there in the house. Shoot! I figure if Bambi can't provide some protection that they're both likely to be carried off by the wildlife soon! So far the jack rabbits have not bothered my beans in large containers, and they are growing well.